This hotel is 100pct non-smoking. The Homewood Suites by Hilton Baton Rouge hotel is located in Baton Rouge LA and are spacious apartment style suites with separate living and sleeping areas. The Homewood Suites by Hilton Baton Rouge hotel allows guests to feel closer to home whether they are traveling for a just a few nights or longer. Every spacious suite at the Baton Rouge LA hotel features enough space for work study or entertaining plus all the comforts of home. 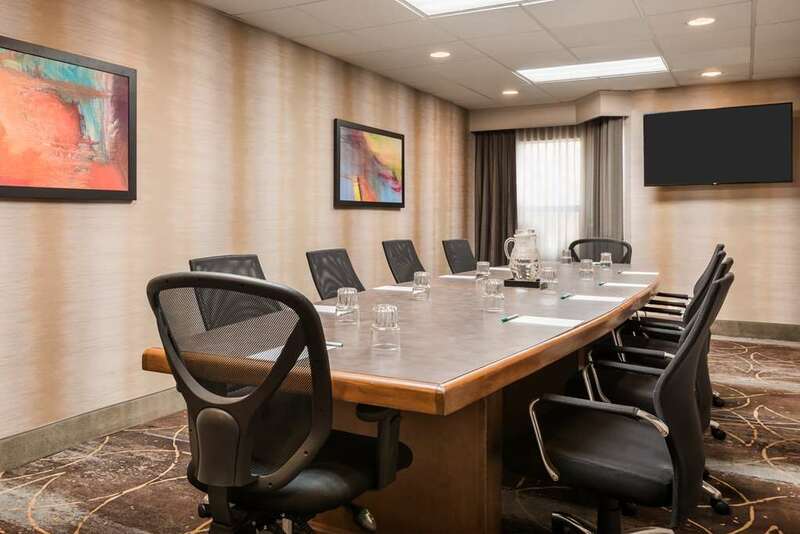 Each guest room includes a fully equipped kitchen with a full-size refrigerator coffee-maker and microwave oven a remote-controlled television two telephones with data ports voice-mail and an iron and ironing board. Guests at the Homewood Suites by Hilton in Baton Rouge LA can enjoy a daily complimentary Suite Start hot breakfast and the Welcome Home reception featuring a complimentary light meal and beverages Monday through Thursday evenings /subject to state and local laws/. Other amenities at this Homewood Suites hotel in Baton Rouge LA include an exercise center with complimentary access to full gym with aerobics and weights grocery shopping service an executive business center with PC printer and copier and a complimentary USA Today paper five days a week. Make Yourself At Home. Mansurs on the Blvd. : Upscale Louisiana Cuisine.